Below you fill find all funeral homes and cemeteries in or near Apopka. 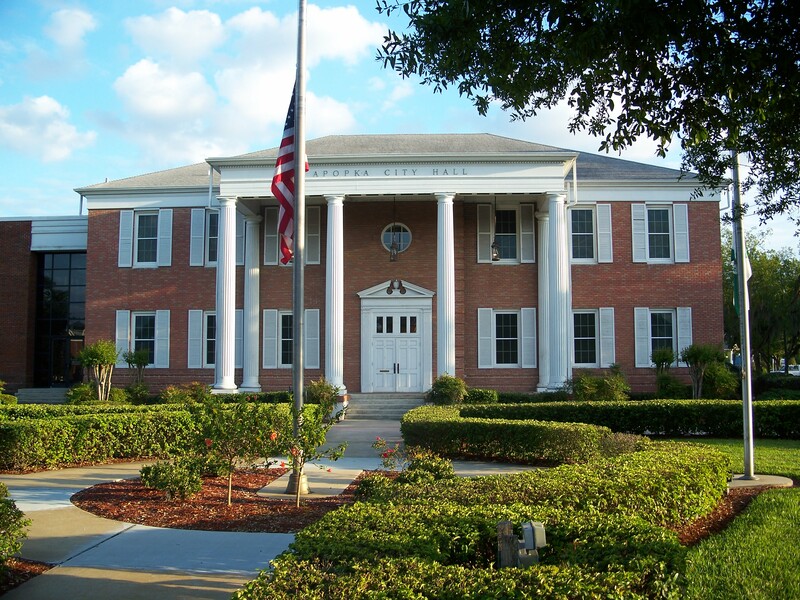 Apopka is also known as: Orange County / Apopka city. Their current mayor is Mayor Joe Kilsheimer. Zip codes in the city: 32703, 32704, 32712. Some of the notable people born here have been: James McKnight (american football player), Rogers Beckett (american football player), Andrea Dean Van Scoyoc (actor), Brandon Meriweather (american football player), Kyle Wilber (american football player), and Jaye Howard (american football player). Apopka is a city in Orange County, Florida. The city's population was 41,542 at the 2010 census, up from 26,969 at the 2000 U.S. Census. It is part of the Orlando–Kissimmee–Sanford Metropolitan Statistical Area. Apopka is a Native American word for "Potato eating place". Apopka is often referred to as the "Indoor Foliage Capital of the World". It was disclosed by Orlando Sentinel on February 1st, 2019 that Relza June Cleveland (Heal) passed on in Apopka, Florida. Ms. Cleveland was 92 years old and was born in Bunker Hill, IL. Send flowers to share your condolences and honor Relza June's life. It was disclosed by Orlando Sentinel on January 30th, 2019 that Jearold Clay Eakins passed away in Apopka, Florida. Eakins was 75 years old and was born in Louisville, KY. Send flowers to express your sympathy and honor Jearold Clay's life. It was noted by Orlando Sentinel on December 14th, 2018 that Tommy Gordon Harrison passed away in Apopka, Florida. Harrison was 83 years old and was born in Jonesboro, AR. Send flowers to express your sympathy and honor Tommy Gordon's life. It was written by Orlando Sentinel on October 28th, 2018 that Beverly Lennon (Strang) passed away in Apopka, Florida. Ms. Lennon was 75 years old. Send flowers to express your sorrow and honor Beverly's life. It was written by Orlando Sentinel on October 14th, 2018 that Kenneth Lee "Ken" Roberts died in Apopka, Florida. Roberts was 87 years old and was born in Harrisburg, PA. Send flowers to express your sorrow and honor Kenneth Lee "Ken"'s life. It was written by Orlando Sentinel on September 16th, 2018 that Robert J Jr Dr "Bobby" Fritz died in Apopka, Florida. Fritz was 58 years old. Send flowers to express your sympathy and honor Robert J Jr Dr "Bobby"'s life. It was reported by Sarasota Herald-Tribune on August 23rd, 2018 that Richard Todd Brower passed on in Apopka, Florida. Brower was 53 years old. Send flowers to share your condolences and honor Richard Todd's life. It was disclosed by Orlando Sentinel on August 17th, 2018 that Amantha Musselwhite (Barker) perished in Apopka, Florida. Ms. Musselwhite was 92 years old and was born in Lumberton, NC. Send flowers to express your sympathy and honor Amantha's life. It was revealed by Orlando Sentinel on August 15th, 2018 that Walter McSwain Fowler passed on in Apopka, Florida. Fowler was 53 years old. Send flowers to share your condolences and honor Walter McSwain's life. It was reported by Orlando Sentinel on August 9th, 2018 that Dana Alice Zumbaugh (Gordon) passed on in Apopka, Florida. Ms. Zumbaugh was 76 years old and was born in Windsor, MO. Send flowers to share your condolences and honor Dana Alice's life. According to the U.S Census estimates of 2006, the city grew to 35,563. Starbird was appointed its manager, but it was not until voters approved a $9,000 bond in 1914 that he was able to contract with International Harvester Corporation to construct a power plant, so electricity was not available in the city until February 10, 1915. Councilman A.M. At the conclusion of the Second Seminole War, the US Congress passed the Armed Occupation Act of 1842, forcing surviving natives at Ahapopka to abandon their village and seek refuge deeper in the wilderness of the Florida peninsula. The population was 26,969 at the 2000 census. 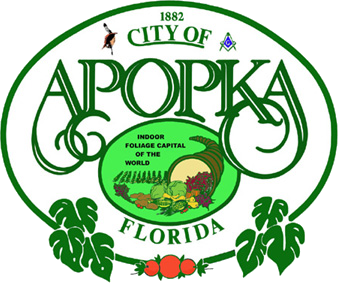 The official website for the city of Apopka is http://www.apopka.net. Listing all funeral homes in Apopka, Florida so you can easily send flowers to any location (same day delivery) or find any funeral service. Send Sympathy & Funeral Flowers from Apopka Florist for delivery in the Apopka, FL area. Apopka Florist in Apopka offers a wide selection of Sympathy & Funeral Flowers. We work with local florists and flower shops to offer same day delivery. You will find budget sympathy flowers in Apopka here. Our funeral flowers are cheap in price but not in value.